September 22, 2010 OMG I’m published in Popular Photography Magazine! I’m extremely ecctatic to present this post to you: it is my honor and privilege to be published in Popular Photography magazine!!! 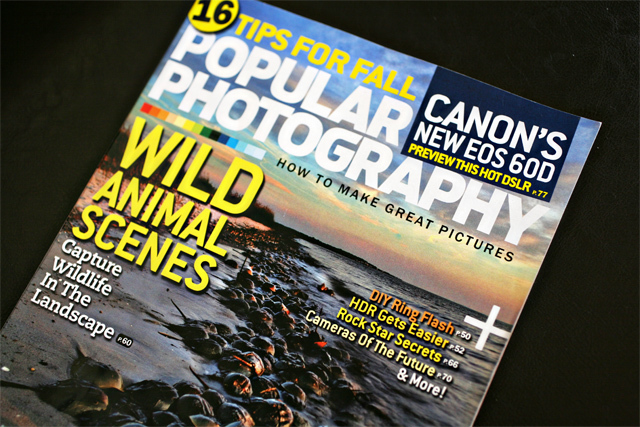 This is the latest (October) issue of Popular Photography magazine! I got second place in this current issue’s “Your Best Shot” Contest. Here’s some food for thought: studies have shown that third place winners are actually happier than second place winners. Why? Third place winners are happy just because they just made into top three, second place winners are disappointed because they were so close to getting first. Interesting thought right? Of course I’m still very happy to get second place and published. 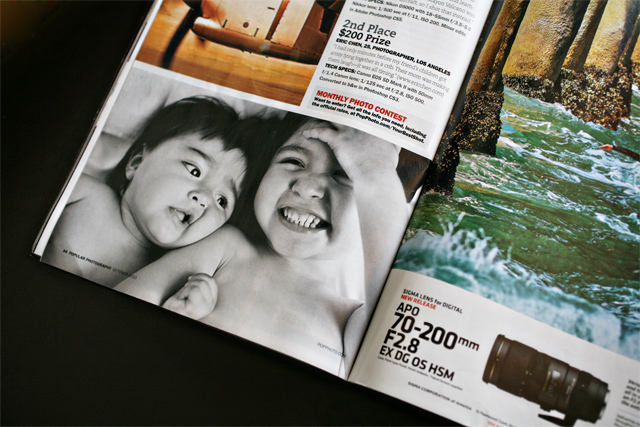 It’s most photographers dreams to be published in magazines, and I’ve been lucky enough to be published a few times. Popular Photography Magazine is actually the first photography magazine that I’ve ever picked up, so it kinda has a soft spot in me. I’d also like to thank Stephanie Li (one of my awesome bride-to-be’s) for giving me this subscription as a gift! This portrait session dates back earlier this year and the two cute little ones shown below are Gabriel and Nadia And it is also an honor and a privilege to be able to see them grow up and photograph them every single year. I’ll say, it’s quite precious. dude! congrats! I’m excited for you. CONGRATS ERICH!!!! That is amazing! Congratulations!! I’m so happy for you. Also the cover article looks really interesting, wild animal scenes?? Erich, I’m SO SO proud of you! This calls for a celebration! Lunch or dinner on me!